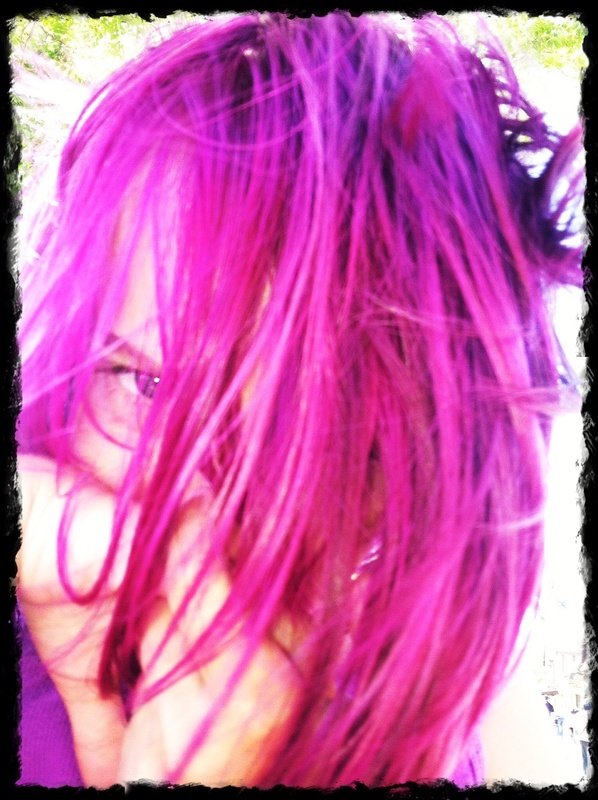 My daughter decided to go pink this summer. Every time we go out people compliment her and gush over her hair style and color. How cute, what fun, she looks so good with pink hair, I wish I could get away with that, I wish I could look so cute in pink, I love it, I wish my daughter could do that but school starts in two weeks, it’s darling!, etc..etc..etc..
Then I am often asked: What will they say when she goes back to school? What hair color did you use?! That is too cute. Thanks…it is really cute on her! I was skeptical when she was asking for pink hair, but it turned out really cute! I did not use the bleach part. Splat kits come with a bleaching process you do first, but I didn’t want to put bleach on her head. So the dye shows various high and low lights that went with her natural high and low lights.